In 2012, Atlas Logistics Group Retail Services in Atlanta found that it had a personnel problem. An employee (perhaps employees) was using the company’s warehouse as a free-range toilet. The odd -- but not unheard of -- behavior occurred in the company’s Bouldercrest facility in which grocery products are housed and where, on at least one occasion, inventory had to be destroyed. 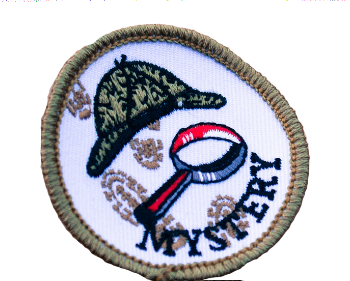 To get to the bottom (sorry...) of this workplace whodunit, the firm put its loss prevention manager on the case. The manager, Don Hill, compiled a list of possible suspects based on a close examination of work schedules. Then he took a scientific approach. He hired Speckin Forensic Laboratories to compare DNA from feces deposited around the facility to DNA collected via cheek swabs from two laborers at the facility, Jack Lowe and Dennis Reynolds. The men were identified in Hill’s work schedule examination. When the results were in, Atlas found -- nothing. Neither of the men’s DNA matched that of the deposited material. Genetic testing cleared the suspects, but that didn’t end the situation. Besides not identifying a culprit, Atlas’ investigation led the two men to sue their employer under GINA, the Genetic Information Nondiscrimination Act. Congress passed GINA in 2008 as the cost of genetic testing began to fall making it more widely available. GINA’s purpose is to protect people against employment and health insurance discrimination based on their genetic information. Lowe and Reynolds submitted to DNA testing to prove their innocence because they feared that their jobs were at stake if they didn’t. They believed that their employer had unlawfully acquired their genetic information. The case hinged on what genetic information is. Atlas’ lawyers argued that the method used to clear the men -- Short Tandem Repeat analysis (STR) -- only indicated that neither of the men was the person who left deposits around the warehouse. STR could not indicate what -- if any -- predispositions the men had toward genetic diseases. Yesterday, a jury agreed and awarded Lowe and Reynolds more than $2.2 million. Gina Kolata of the New York Times covered the case last month in an in-depth article that explores how this case presented GINA with its first real test. We've previously written about genetic testing here, and (of course!) 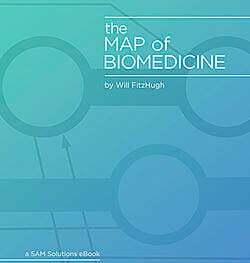 in our ebook on the Map of Biomedicine.